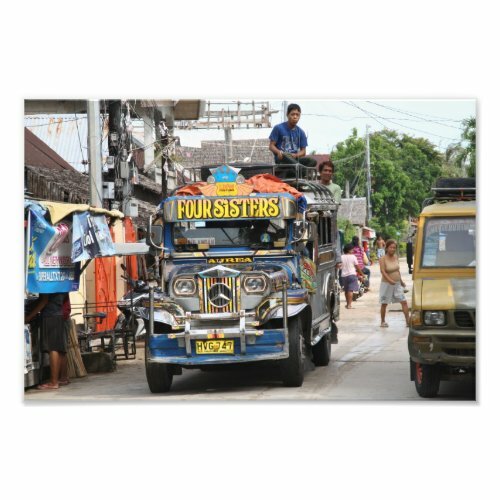 A photo of a jeepney, taken in the Visayas region. Originally, jeepneys were converted American army jeeps used for public transport, but nowadays they are built for public transport in the Philippines. They are usually heavily decorated.